Other Names: None Location: Amelia County Campaign: Appomattox Campaign (March-April 1865) Date(s): April 3 1865 Principal Commanders: Maj. 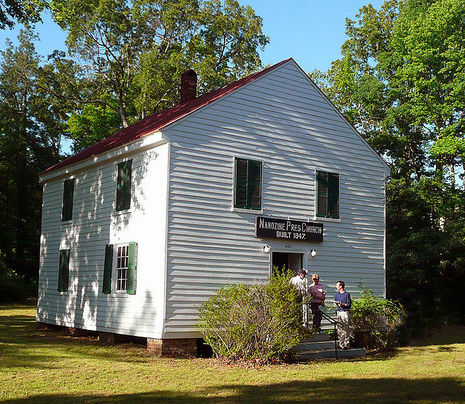 The Battle of Namozine Church was a minor engagement on April 3, 1865, in Amelia County, Virginia during the American Civil War's Appomattox Campaign. As Robert E. Lee's Confederate Army of Northern Virginia retreated from Richmond, rear guard dismounted cavalry units often paused to block the roads from pursuing Union cavalry. At a ford on Namozine Creek, Union Brig. 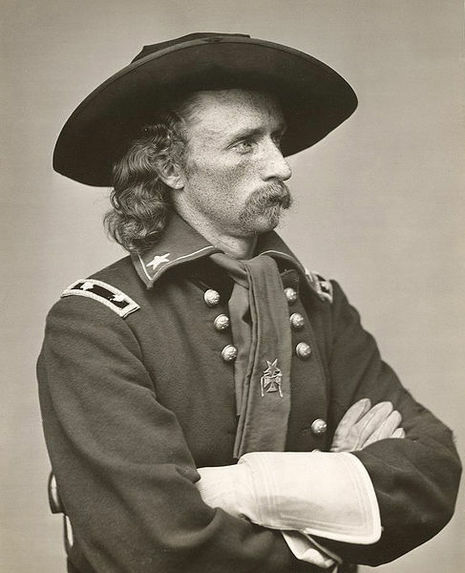 Gen. George Armstrong Custer threatened the rear of Lee's column. Custer was able to capture many of the Confederates and clear the road in the early morning. Still, the Confederate cavalry had bought enough time for Maj. Gen. Bushrod Johnson's infantry division to pass nearby Namozine Church around 8 a.m. Unfortunately, Johnson took a wrong turn at a fork in the road and had to halt when his command reached a bridge over Deep Creek that was underwater from recent flooding. A brigade of North Carolina cavalry from Confederate Maj. Gen. W.H.F. "Rooney" Lee's division tried to secure the Namozine Church road intersection until Johnson could return and take the correct fork. About 9 a.m., one of Custer's brigades under Col. William Wells attacked the still deploying Confederate cavalry. Custer's younger brother, Thomas, spurred his horse over a hastily thrown up barricade and captured 3 Confederate officers and 11 enlisted men, as well as the battle flag of the 2nd North Carolina Cavalry. For his actions, the younger Custer would eventually be awarded a Medal of Honor, one of two he would earn within a week. Another Confederate regiment unsuccessfully counterattacked, losing many prisoners in an ill-fated attempt to drive off the Federals, who flanked them. Confederate Brig. Gen. Rufus Barringer was captured nearby, as was Rooney Lee's adjutant general, Maj. J. D. Ferguson. General Johnson approached with his division and finally forced Custer to retire, opening the way for the Confederate infantry to march to Amelia Court House, where they expected to receive much needed supplies and rations. Colonel Wells lost 95 Federal cavalrymen killed and wounded in the engagement. Lee's cavalry losses are not certain, but at least 350 were captured. 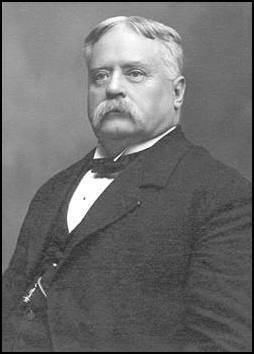 Johnson reported 15 wounded from his division. After the battle, Namozine Church served as a field hospital and later as temporary headquarters for cavalry general Philip Sheridan. The wartime structure still stands.